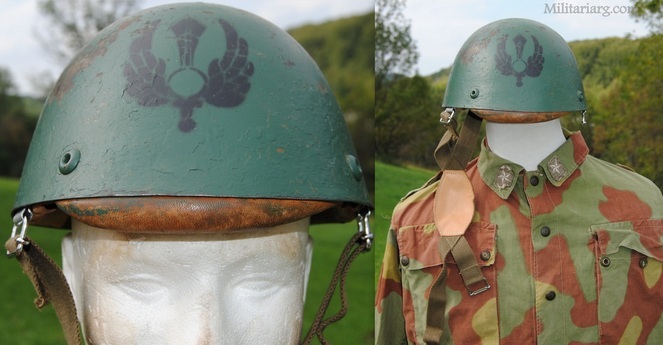 M34/39 Italian Helmet (Exported in Greece). 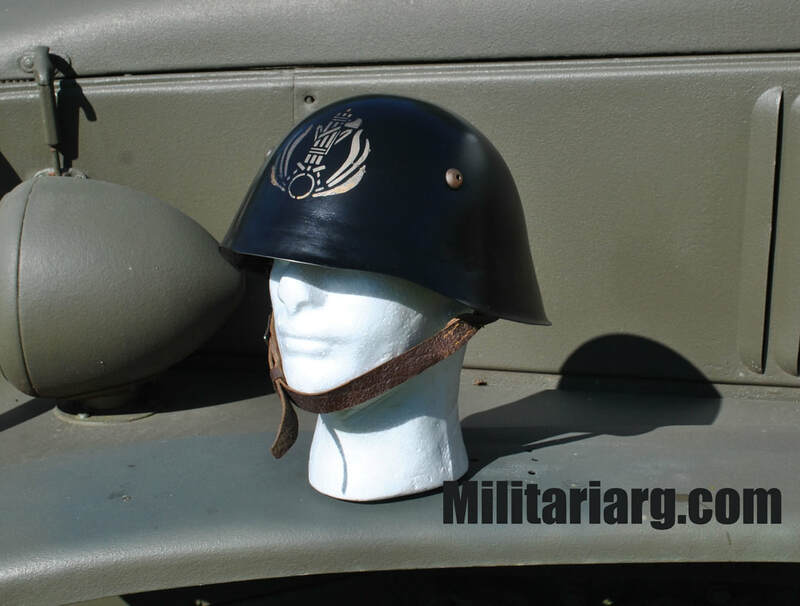 M33 Regia Marina helmet with remnants of navy grey paint. Fratelli Fiorio di Torino M33 Factory Liner. 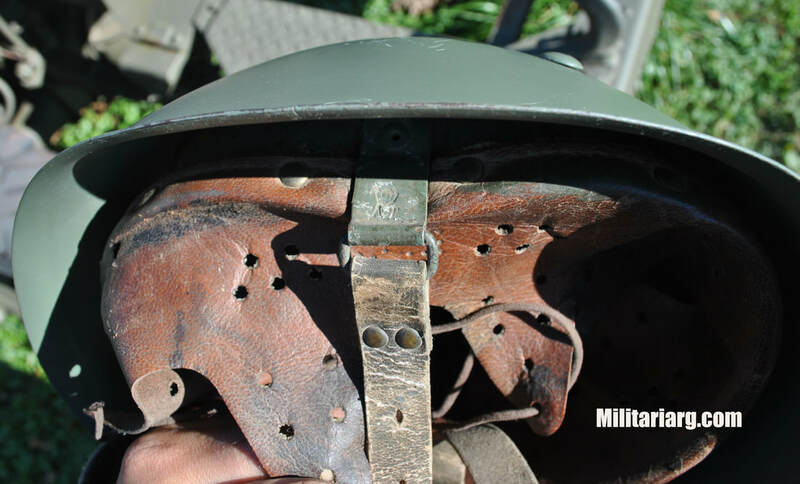 Italian Paratrooper Helmet M41-42 Post-War. 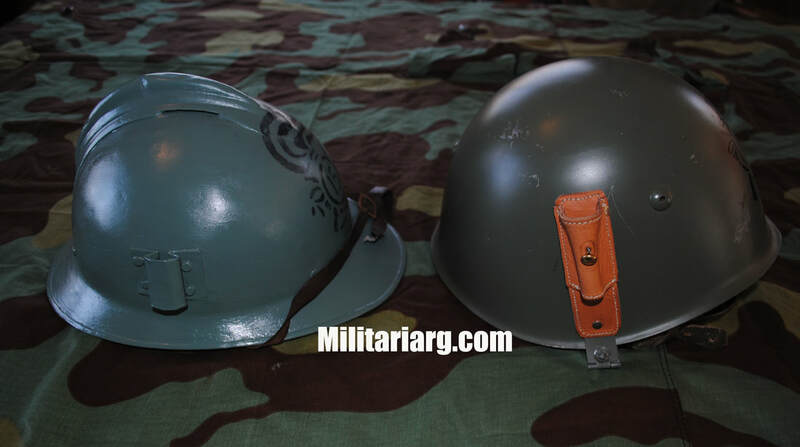 Italian M39 "Galeanico" helmet replica. 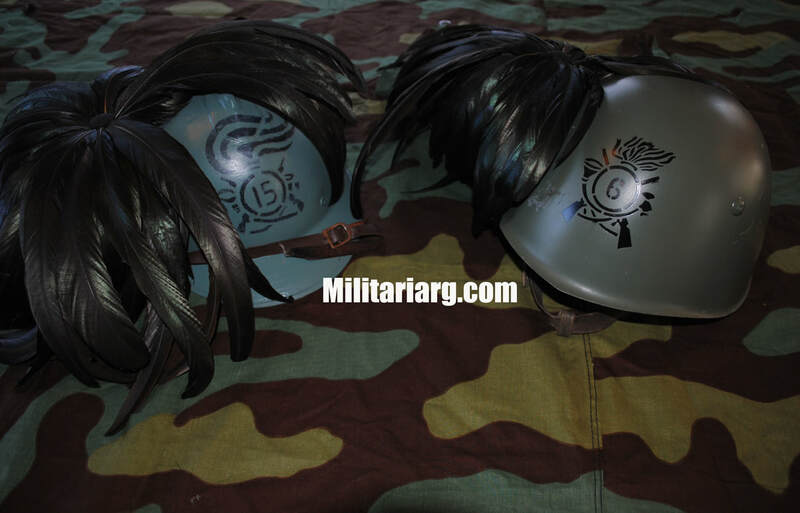 This is a replica of the shell of a helmet from the M.V.S.N Legion. They were seen in old photos, used in parades or as guards of the palace in Rome. It would use the same liner as the M33 helmet. 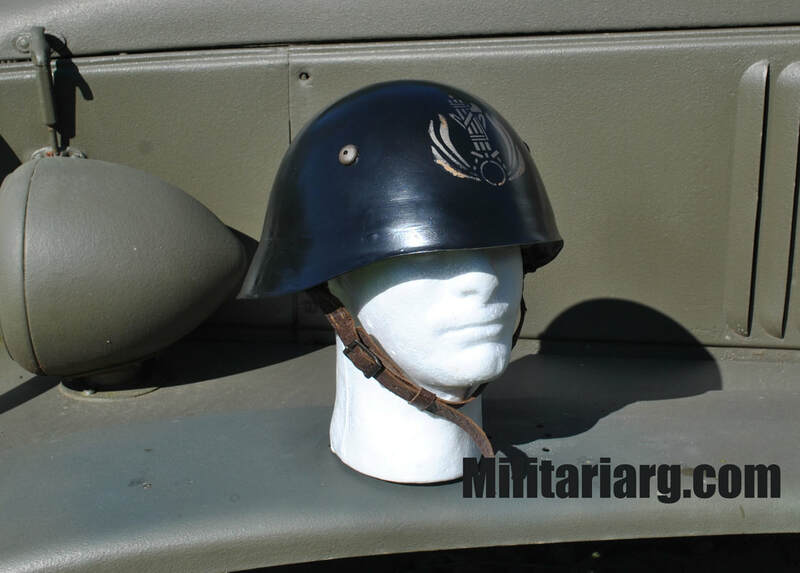 Regia Marina Talker Helmet M33. 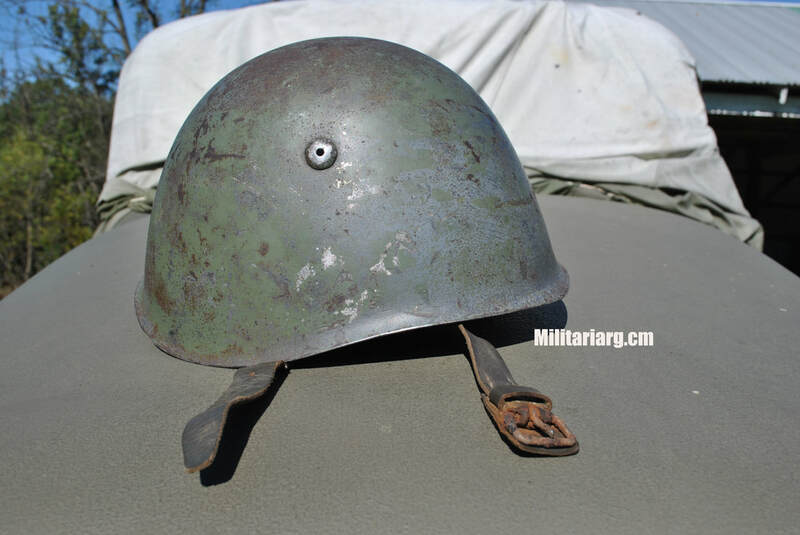 Rare M33 Regio Esercito, Italian Helmet with Battle Damage. RSI Italian Helmet M33 camo. tM33 (Repainted-refurbished) and moretto or vaira from the 6th Bersaglieri Regiment. 15th Bersaglieri Regiment, Italian WW1 Adrian type helmet M16 Lippmann and M33 helmet 6th Bersaglieri refurbished and repainted. WWII. Italian Tropical Helmet. Bersaglieri. 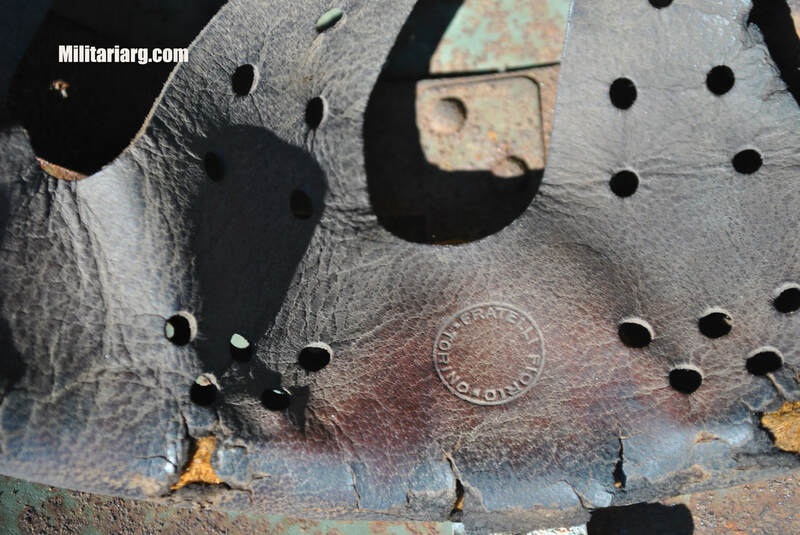 Italian WWII Tanker Leather Helmet. Post-War. Alpini Artillery. M33 Helmet. Post war. M33 Italian-Spanish Helmet, The shell is marked with B = Smalteria e Metallurgia Veneta di Bassano del Grappa. The chinstrap lugs with AT (Arsenale Torino) and Royal Crown. 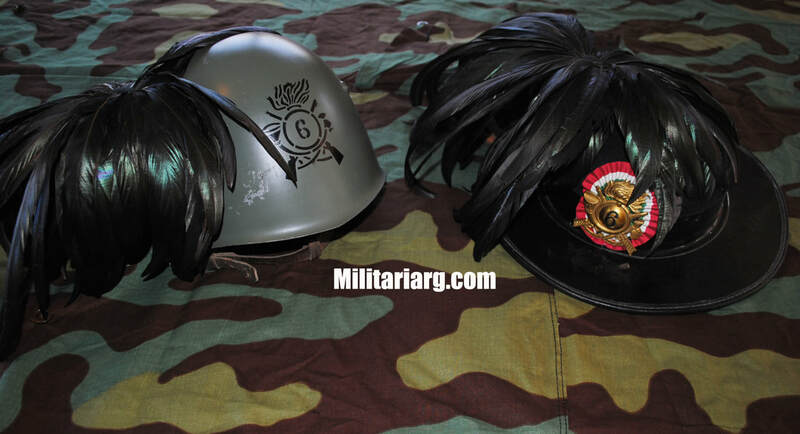 M33 Spanish Helmet with Galician Eagle Shield. M33 with Polish Police Shield ?